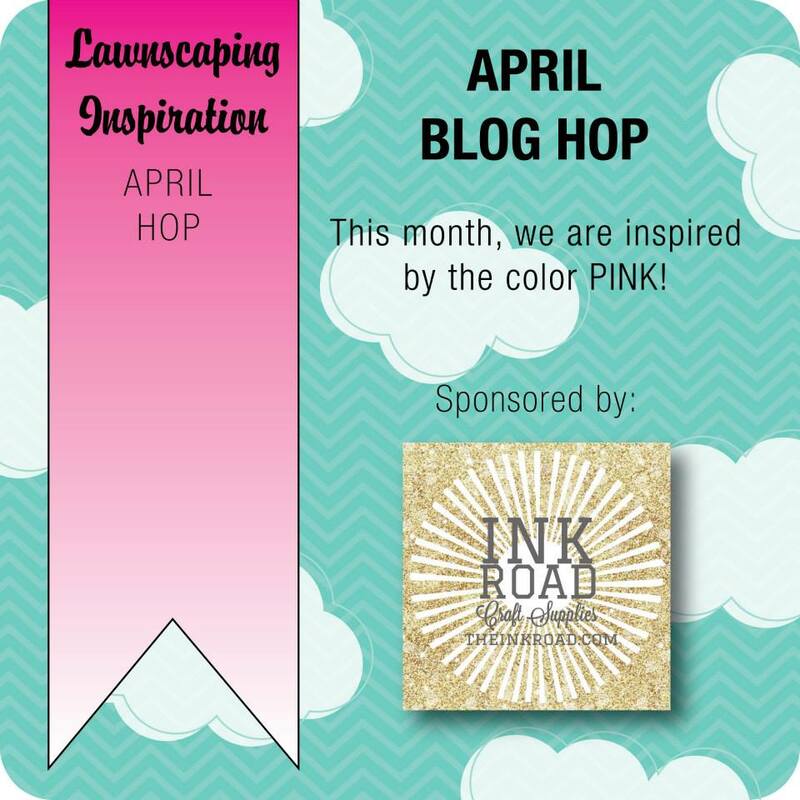 Lawnscaping FIT April Blog Hop! It’s the last Friday of the month, so that means it’s time for the Lawnscaping Challenge Facebook Inspiration Team’s (FIT) Monthly Blog Hop! You’ve probably arrived from Lenny’s blog, but in case you’re starting here, you’ll find the full hop list at the bottom of my post! PINK is our inspiration color for this month’s hop, so I made a card with Lawn Fawn’s “Best Pun Ever” stamp set and the “Scripty Hello” Lawn Cuts die. The heart-shaped steam is from the “Whale You Be Mine” clear stamp set. I cut strips of striped paper from the Let’s Polka petite paper packs, lined them up to make a chevron pattern, then adhered them to a thin sheet of card stock before adhering the panel to the front of the card. The sentiment is die cut from a thin sheet of cork. Before you continue the hop at Isha’s blog, be sure to leave a comment for me so you can have a better chance of being the lucky winner of a gift certificate to The Ink Road! LOVE it…the cork and pink is great! very creative. love the cork. This card is one of my favourites!!!!!!!!!! I love the sentiment! Super sweet card!! Love how you created the background!! wow!! Awwww… this is so adorable! I love the little teapot and tea cup, they look so happy! Adorable! Love the heart shape “steam” . I absolutely love the chevron background you created by flipping the papers. So clever! What a clever background and love the cork title!! Didn’t get your picture to come through for me to see but from all the comments, it’s sounds adorable! I’m Wendy and my email address is chcacog@sbcglobal.net. The picture just came through, so cute! Love teapots and teacups! And the doily just sets it off so nicely! This is PINK and awesome!! Great cute and fun card, Love teapots and teacups. TFS..
Oh how pretty! Love the cork! it’s a perfect card, I lvoe the cork and the wood sequins!!! Pink and gold! Love it! The hearts of steam are an adorable detailing! love your background for these cute cup/pots! Love…love… your card!!! Love the cork sentiment and the veneer sequins. Beautiful! !